Necklaces, Bracelets, 925 Sterling Silver, Genuine Leather–Prices start at $5! Online only at www.sookandmelody.com shop our Autumn/Winter ’15 fashion accessories range at up to 70% off. PLUS you'll find Samples and One Offs at ridiculously low prices. This is a sale you can’t afford to miss with huge reductions on over 90 styles. Stock is limited, so get in quick and score yourself amazing accessories at amazing sale prices! *Prices as marked, while stock lasts. 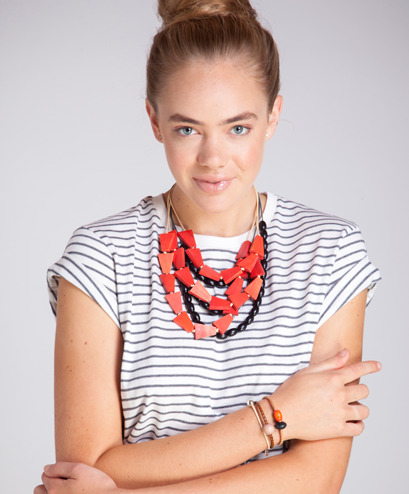 Sook+Melody is a fashion accessory label proudly designed in Melbourne Australia. Our focus is offering stylish, quality fashion accessories that are carefully and lovingly hand made both locally and worldwide using traditional techniques and the finest natural sources. We pride ourselves in using beads made from recycled wood or sourced from sustainable plantations wherever possible. These combined with the natural source of waxed cotton cord, 925 Sterling Silver components, and genuine leather braided cord create our colourful, strikingly simple and superior quality signature ranges: Wood+Cotton, Wood+Silver and Wood+Leather. Taking inspiration from nature, colour, art and lifestyle, Sook+Melody jewellery ranges are designed to enhance and become part of your wardrobe and life. These simple statement pieces worn alone achieve easy, understated style or can be layered effortlessly for ultimate texture.